Paws Up Pet Transport offers short-term Boarding for Your Pet pre and post-flight. Your Pet will be boarded indoors, in a comfortable, quiet atmosphere. If Your Pet is being boarded overnight, Paws Up Pet Transport Team Members will feed Your Pet’s own food, so that your Pet’s routine is not distrupted. Pet’s with medications are not a problem, and medications will be administered as you direct. 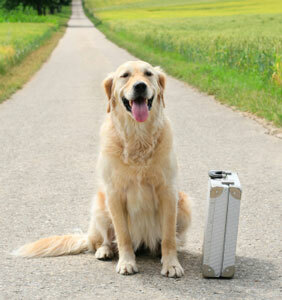 Before Travel, we will prepare crate with all necessities, and Deliver you Pet to his/her flight. After Travel, your pet will have a potty and exercise break, and relax while waiting for Your Arrival or a Connecting Flight. If requested, food and medication can be administered Post Flight. If you require boarding services please call for rates. We do not board for holidays or vacations and only board for clients using our transport services.